Released nearly two days early, here’s what we think of it! 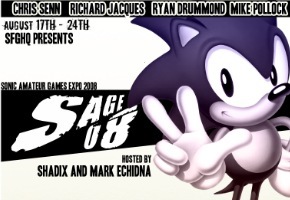 Though the Sonic Amateur Games Expo does not formally start until Sunday, that did not stop Streak Thunderstorm from releasing a SAGE demo for his fangame, Sonic: Mecha Madness today. 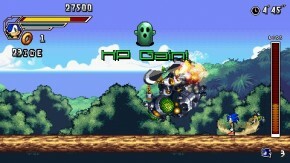 The demo provides two levels and two bosses to play around with. 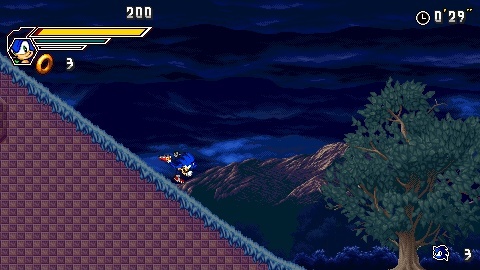 Your first impression in Mecha Madness is that Sonic himself initially feels very heavy – his acceleration is remarkably sluggish to begin with, but as you continue to play the game and find new abilities, Sonic’s strength and speed begins to gradually level up as you do combat with enemies. Combat is different than your traditional Sonic game – playing more like Sonic Battle than anything else. In the introductory level, backtracking reveals a power-up that enables Sonic to kick, punch, and execute combos on enemies. 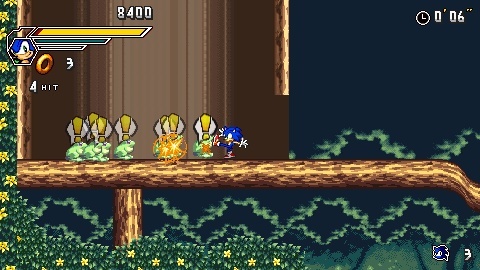 Despite any preconceived notions you may have of seeing Sonic punching and kicking robots (instead of simply just spinning through them – which is also an option, here, if you’re really that picky), juggling enemies and racking up a large combo multiplier is fun and the fighting mechanics feel solid while being easy to use. After a brief fight with Dr. Eggman followed by a mysterious new enemy, you move on to the second half of the demo – Angel Island Zone. It was here I realized that Sonic has Hit Points. While you do collect rings and lose them in traditional Sonic game fashion, taking damage without rings will drain your (initially meager) hit points. Only once your hit points are depleted will Sonic lose a life and you will be forced to restart from the last checkpoint. The demo finishes out with another boss fight, this time with a giant robotic insect. 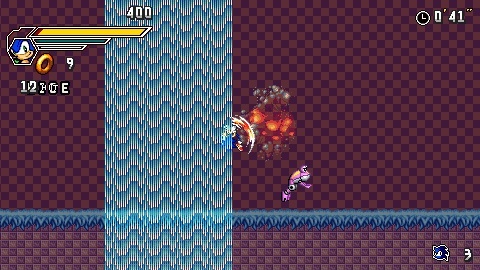 Overall, Mecha Madness is shaping up to be a great Sonic fangame. The controls are pretty solid (especially once you learn to use the jump dash to accelerate), the combat is simple but fun, and the visuals, despite being culled from multiple sources, mesh very well together. The complaints I have about it are strictly minor stuff: The lightning in the first level is a little overbearing and the constant flashes get pretty annoying. Combined with that, Mecha Madness is a very noisy game; lots of loud punching and kicking with loud music meant I had to turn the volume down. And then there is the issue of the framerate – I don’t claim to have the hottest hardware on the block, but for a game that basically replicates the visual features of Playstation 1 or Nintendo DS games, I should not be getting 15 frames-per-second. 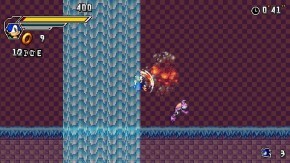 That, however, is most likely the fault of the program the game was written in – Multimedia Fusion is not exactly optimized for the sorts of calculations most Sonic fangames use it for, and Mecha Madness in particular uses a lot of complex enemy physics you don’t normally see in Sonic games. This is one to watch for.